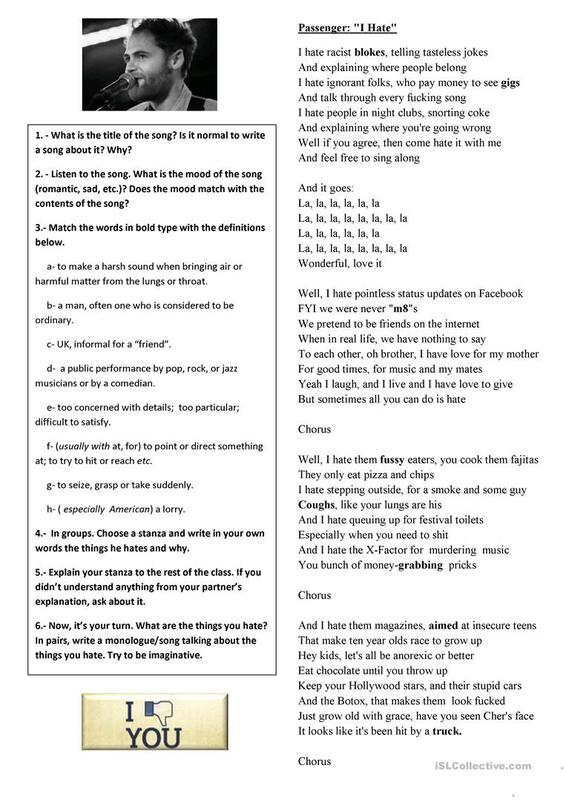 Students will work in groups to understand the song, the things he hates, why and to criticise their own society. This printable, downloadable handout is a great resource for high school students and adults at Pre-intermediate (A2) and Intermediate (B1) level. It can be used for enhancing your class' Listening and Speaking skills.